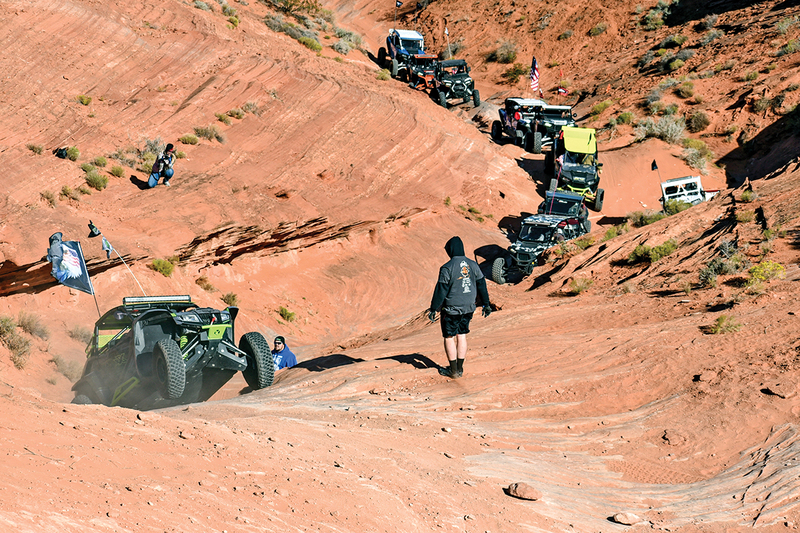 Utah is an off-road Mecca with a wide variety of OHVing experiences, and the state hosts 10 major UTV/ATV jamborees a year, with eight utilizing central Utah’s Paiute Trail System. 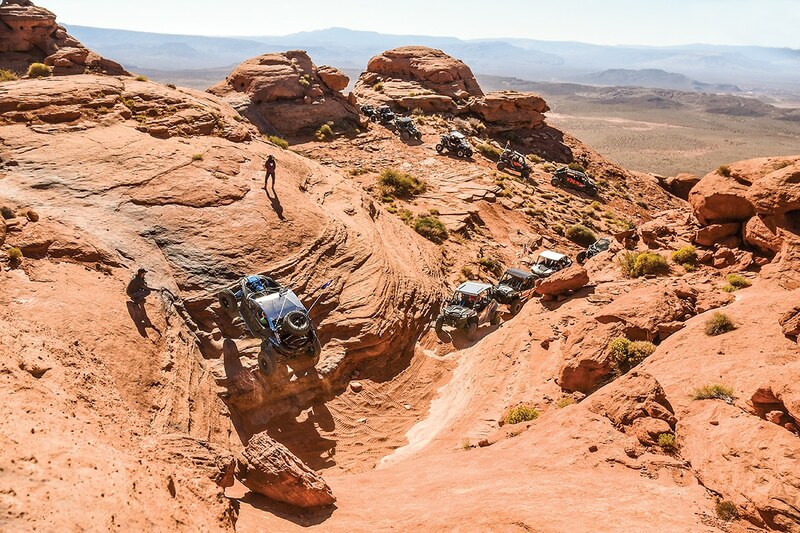 Two jamborees fall outside of the “State of Sport’s” major trail system—Moab’s Rally on the Rocks in eastern Utah and the SxS Adventure Rally in the national-park-laden southwest. Literally next door the Zion National Park and the Dixie National Forest, Sand Hollow State Park has been hosting the major rock-crawling jamboree of the fall, the SxS Adventure Rally. But it’s not all about conquering red-rock formations in a UTV; there are also plenty of sand dunes and desert terrain to test skills and thrill. The SxS Adventure Rally had 10 guided daily rides in 2018, with half having advanced-skill ratings. Guides help the participants make it up the harder obstacles, like this one on John’s Trail/Sliprock, and there are plenty of bypass routes. All trails have spectacular scenery. 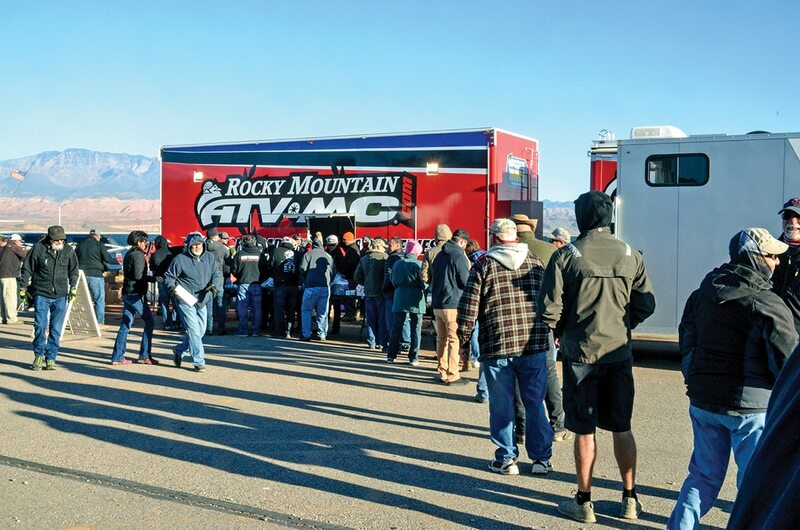 All sorts of rally specials and vendor services are available at the SxS Adventure Rally, like ECU reprogramming and dyno-tuning with Dynojet, or dialing your suspension and adding articulation with Walker Links at the Walker Evans Racing trailer. 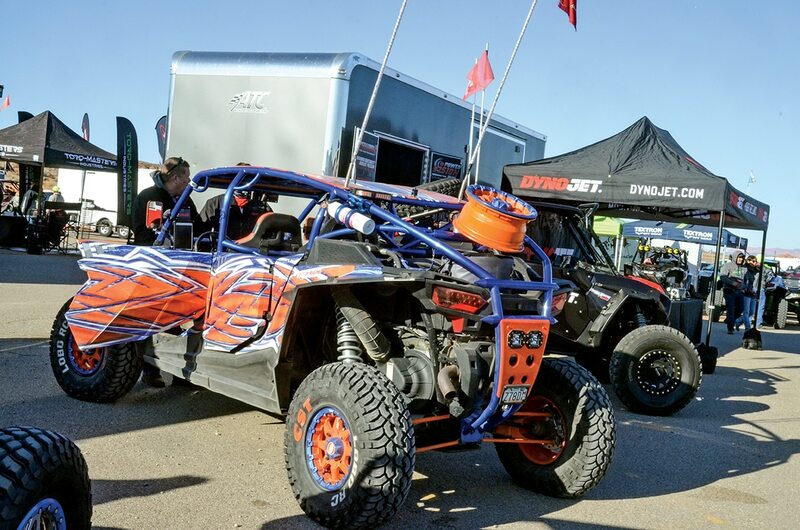 Now in its fourth year, the SxS Adventure Rally drew a record number of UTVs, and the title sponsor is CST Tires. Yamaha also stepped up big time as a major player. 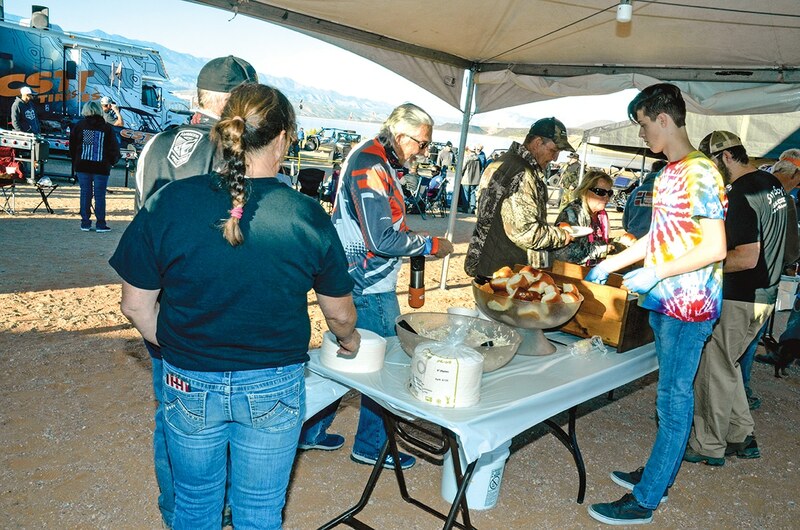 Yamaha hosted the Friday-night BBQ dinner by Lonny Boy’s BBQ and donated an EF2000ISV2 Yamaha generator that was auctioned off, with proceeds going to Tan’s Treats. Tan’s feeds children in need on weekends when school food programs aren’t available. Yamaha also hosted the Yamaha Adventure Run as part of its Realize Your Adventure campaign. 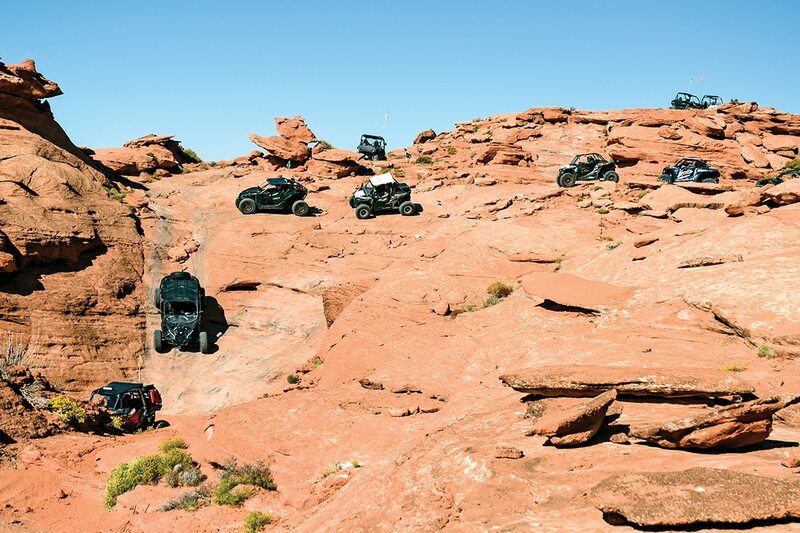 The Adventure Run had participants drive their UTVs up to four Adventure Run photo locations—Freedom Rock/Gabe’s Flag Pole, Flintstone House, Hobbit Hole and Top of the World—via GPS. Participants visited at least one of the locations, took photos and then posted their creative images on Facebook or Instagram. Yamaha picked three winners, who were notified on social media, that they had won an Otterbox Venture 45 cooler, Yamaha MusicCast wireless speaker or Yamaha in-ear headphones. Yamaha also put on demo rides with new YXZ1000Rs, Sport Shifts and new Wolverine X2s. The Maze is a trail favorite, and new lines are being added by local rock crawlers every year. The usual Maze parking spot for lunch overlooks the Washington Valley at the base of the red-rock escarpment. Friday is the day for the big raffle and barbecue dinner, which was sponsored by Yamaha Outdoors in 2018. Ten guided rides took off each morning for three days. Top of the World loop and All the Way Around are super-scenic easy trails, while Upper West Rim, Milts Mile and Fault Line/Lower West Rim are moderate trails with stunning views. The other five—Double Sammy, Sliprock/John’s trail, Plan B, The Ledges and the Maze—are difficult trails with plenty of bypass routes around the hardest obstacles. All rides get back in time for checking out vendor row, demoing a new Can-Am, Polaris or Yamaha UTV, or taking self-guided rides. The WORCS registration trailer was the site of sign-up and free breakfasts, catered by Camp Chef and volunteers, for the three-day rally. Many participants camp in the Sand Hollow State Park campgrounds and take advantage of the heated, very clean restrooms and showers. Yamaha also auctioned a generator for a local charity, Tan’s Treats, and sponsored a unique social-media GPS contest for even more swag. A mountain of swag was raffled away to participants. 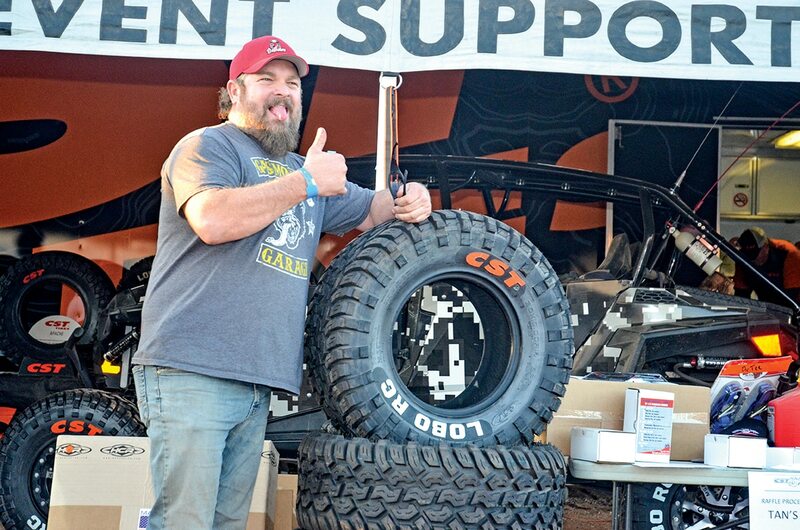 Title sponsor CST donated several sets of tires, mostly Lobo RC rock-crawling meats. Camp Chef is also a major sponsor that cooks breakfast the first two mornings, then gives away four Camp Chef griddles during Friday’s big raffle. 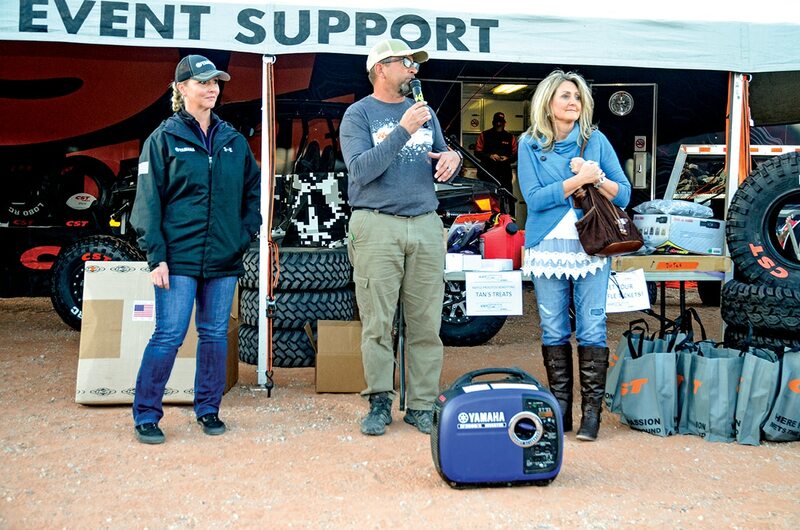 CST gave away several sets of tires, and Yamaha, Textron, D&P Performance, HCR Racing, Daystar, PCI Race Radios, Rugged Radios, Dynojet, SuperATV, Walker Evans Racing, Dirtees, Jack Daddy, Xericross and more kicked in raffle swag. The rally also honors our veterans during the jamboree, and vendors work on participants’ machines and install the many rally specials. Raffle tickets are cheap, and the SxS Adventure Rally is $125 including meals, rides, a raffle ticket, and an event T-shirt. Set aside November 7–9, 2019, for the fifth annual SxS Adventure Rally!